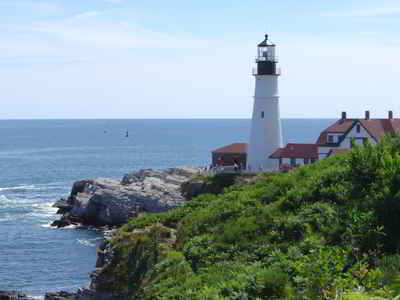 Maine has almost 3,500 miles of shoreline, and is known for its beautiful ocean scenery and lobster industry. Students in Maine can whale watch on the weekends, kayak through one of the state's many waterways, or wake up early to hike to the top of Cadillac Mountain, the very first place the sun rises in the United States. Maine is the largest of the New England states in area. 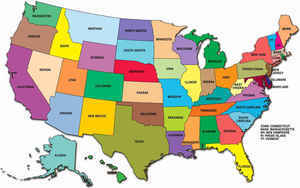 Maine, in 1820, was the 23rd state to join the Union. Maine's name comes from an ancient French province of the same name. The most sparsely populated state east of the Mississippi River, it's appropriately called the "Pine Tree State," as 90 percent of its land is forest. Not surprisingly, most of Maine's economy is related to timber and the production of paper and paper products although the millions of tourists who flock each summer to "Vacationland" are a significant source of revenue. The capital is Augusta; the state floral emblem is the white pine cone and tassel (Pinus strobus, linnaeus) . 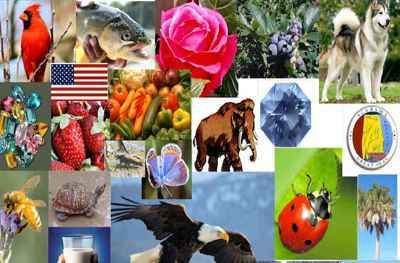 Maine State Symbols contains descriptions and pictures of the state symbols, emblems, and mascots of the state, which can be quickly accessed. This resource guide represents many of Maine state facts such as Maine state symbols, the state flower, the state gemstone, the state insect, the state tree, the state bird, the state animal, the state flag that flies over Maine, and the capital, as well as many more symbols, emblems, and mascots. Song "State of Maine Song"